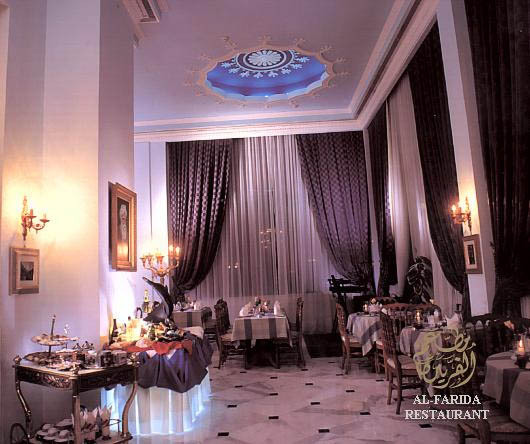 The Al-Farida restaurant is an elegant restaurant located in the El Salamlek Palace. It serves both International and Italian cuisines, and offers the ambiance of live music along with entertainment by a Russian dance troupe. They're open with the convenient hours of 8 a.m. - 8 p.m., daily. This former palace has a rich environment with stunning views of their gardens and the Mediterranean sea. The renovation of the palace hotel and casino took 9 years. You can read this fascinating history of El Salamlek by clicking here.